Lies Of the Food Industry #Infographic ~ Visualistan '+g+"
According to research commissioned by Trace One, 63% of consumers said their trust in the food industry had been damaged by the 2013 European horsemeat scandal. Could this explain why consumers are increasingly shopping from smaller brands, where the origin of the product is easier to trace? Between 2009 and 2014 the US’ 25 largest food and drinks companies saw their share of the market drop from 49.4% to 45.1%. 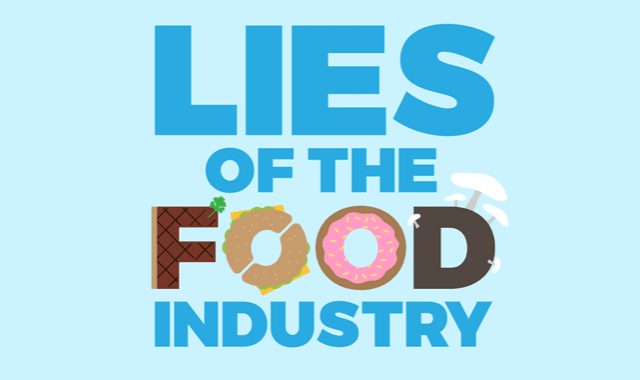 If the food industry wants our trust back, they need to increase transparency and offer more information as to the origin of products and their ingredients – so why are we still being fed lies this these…?